I've installed android studio 3.1.3 on my Mac OS. 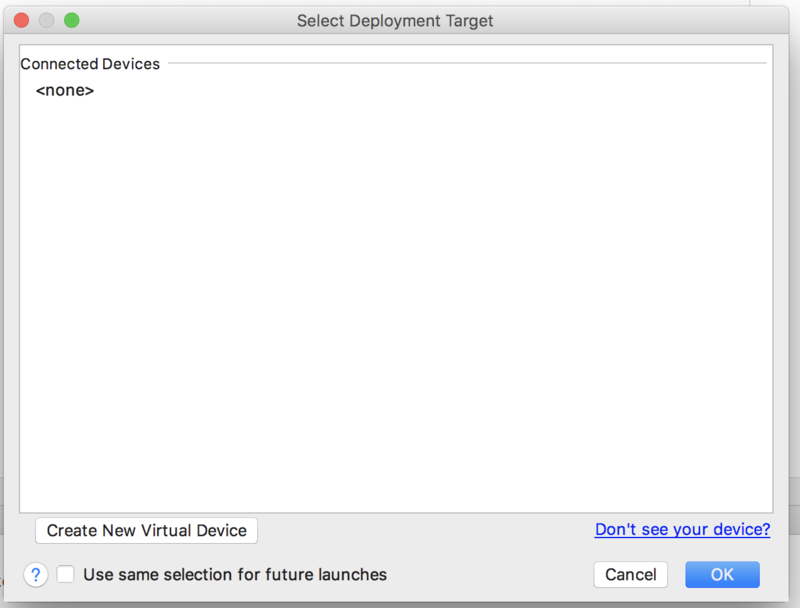 I tried to run 'app', but can't find any devices in 'Select Deployment target' window. I created emulator and connected real device. I can't find both. Try to recreate the ADV Device,and use cold boot after creation.Then try running it. Not the answer you're looking for? Browse other questions tagged android adb emulation avd or ask your own question.